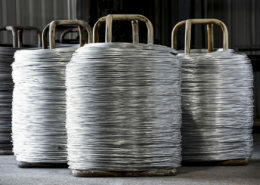 Whether you need one bundle or a truckload, Pinpoint is here to meet your bale tie needs. Available in galvanized or black annealed finish in a wide variety of size combinations. 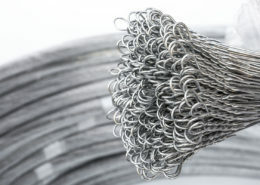 With a full range of products, Pinpoint Wire is sure to be able to meet your wire needs. 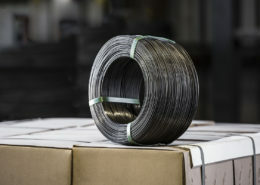 Drawn from High Carbon Wire Rod, cleaned, then coated with a smooth layer of Special High Grade (SHG) zinc that is applied at 850 degrees Fahrenheit to prevent flaking and cracking. 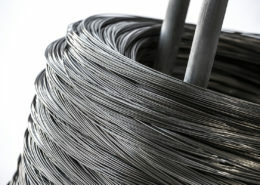 Our Hi-Tensile Galvanized Wire will stand up to the most demanding baling applications. Available in full carriers or 50 & 100# boxes, our black annealed ty wire is perfect for all makes and models of horizontal auto-ty balers. Welcome to Pinpoint Wire Technologies, llc. Our goal at Pinpoint Wire is to provide quality wire products and services to our customers at the most competitive prices possible. Our supplier network allows us to offer products that have been produced according to each customer’s specifications. Whether you have particular tensile requirements or need a particular surface quality, Pinpoint has the answer. With our vast knowledge and experience, we offer the highest quality products available on the market. Contact us today for a quote!